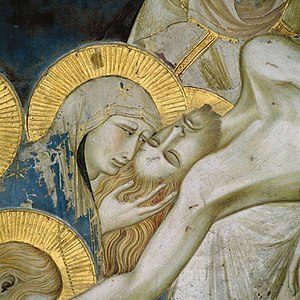 Ineffabilis Deus (as well as Pope Pius XII's Munificentissimus Deus on the Assumption) also teaches the predestination of Mary, in that she was preserved from sin due to the role reserved for her in the economy of salvation. 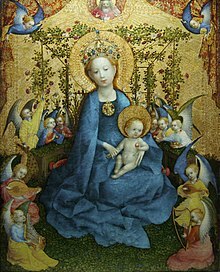 This predetermination of Mary's role in salvation was referred to in Lumen gentium (item 61) which stated that she was "Predestined from eternity by that decree of divine providence which determined the incarnation of the Word to be the Mother of God." The definition in Ineffabilis Deus confirms the uniqueness of the Immaculate Conception as a gift from God to Mary to allow her to become the stainless Mother of God. Saint Juan Diego's account of the appearance of the Virgin of Guadalupe to him in 1531 on Tepeyac Hill in Mexico provides another example of the cultural adaptation of the view of the Virgin Mary. 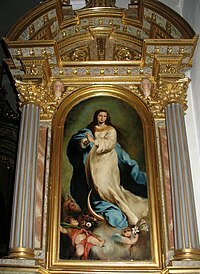 Juan Diego did not describe the Virgin Mary as either European or Middle Eastern, but as a tanned Aztec princess who spoke in his local Nahuatl language, and not in Spanish. The image of the Virgin of Guadalupe that is highly venerated in Mexico has the appearance of an Indigenous Central American, rather than a European woman, and the clothing of the Virgin of Guadalupe has been identified as that of an Aztec princess. The Virgin of Guadalupe was a turning point in the conversion of Latin America to Catholicism, and is the primary view of Mary among millions of Catholics in Mexico in the 21st century. Pope John Paul II reinforced the localization of this view by permitting local Aztec dances during the ceremony in which he declared Juan Diego a saint, spoke in Nahuatl as part of the ceremony, called Juan Diego "the talking eagle" and asked him to show "the way that leads to the Dark Virgin of Tepeyac".